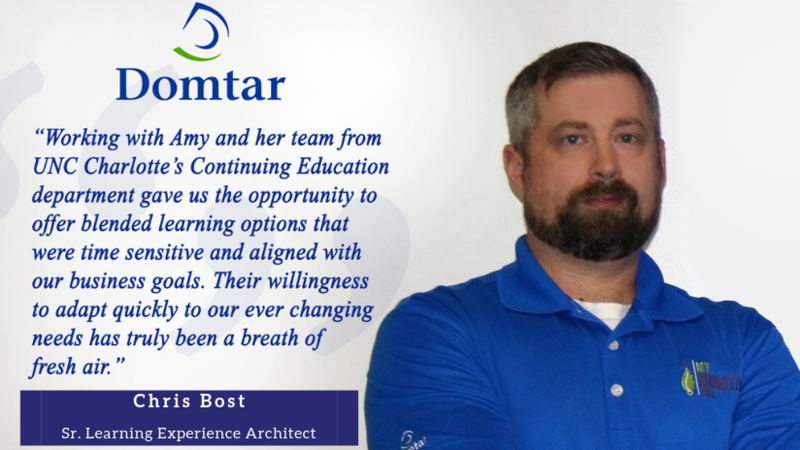 We partner with your company to understand your vision and identify your learning needs and objectives. 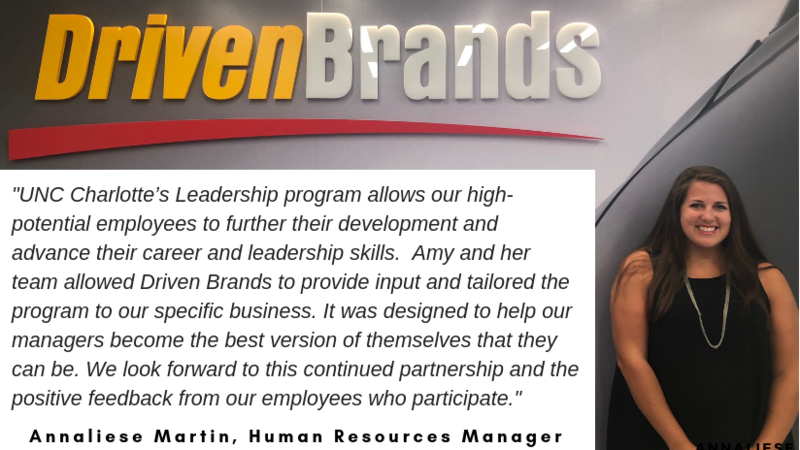 Our multistep process is designed to create custom programs that maximize business goals and employee success. Want to bring a custom program to your business? 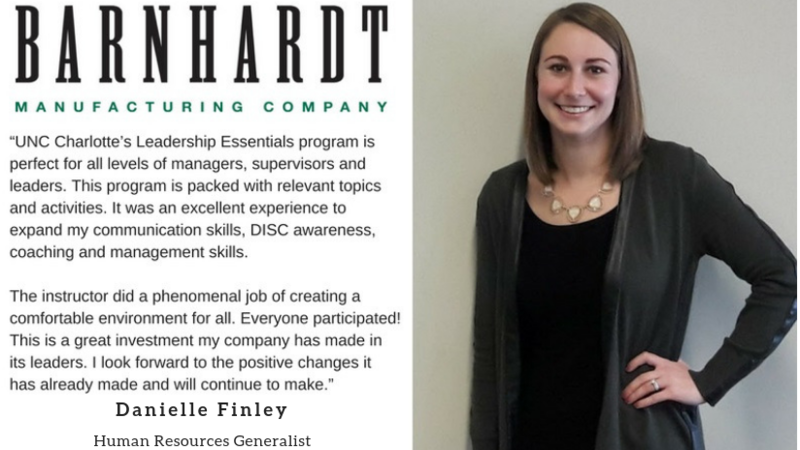 Let's dissuss your organization's workforce training needs. 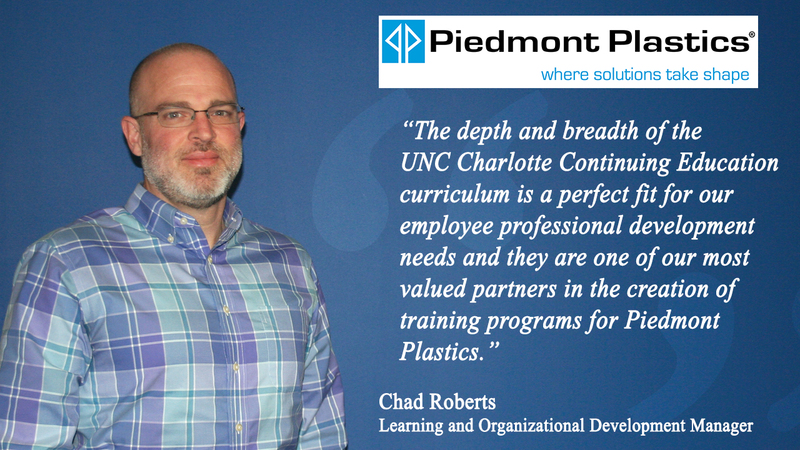 As a leading provider of professional development in the Charlotte-Metro region, our unique approach to innovative, client-focused training will engage your team in a culture of learning with measurable results. 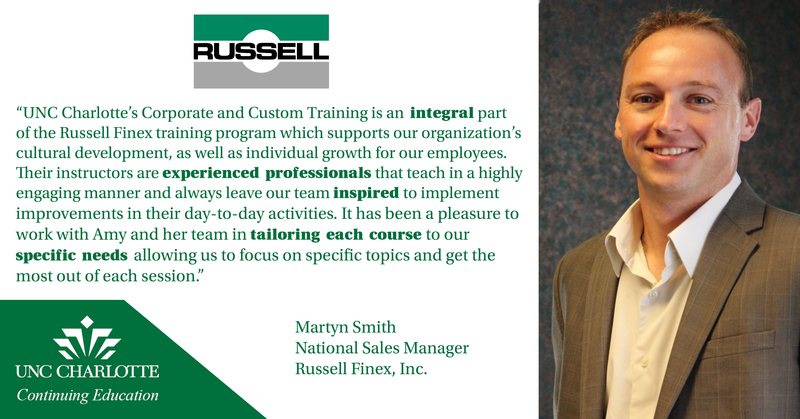 Our customized training can increase efficiencies, improve job satisfaction and employee motivation and provide your team with a set of skills to better serve your organization and customers. 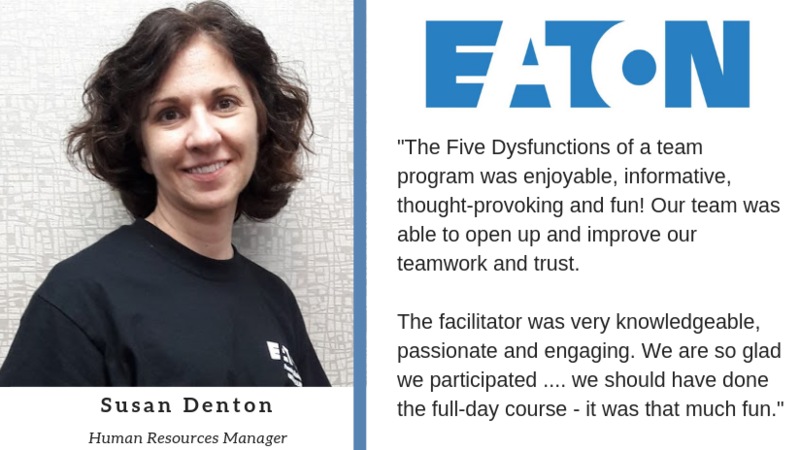 Establish context and strategic direction for the training program so that we provide the greatest impact for your organization. Set specific, targeted goals to meet each identified training need and then create the specific strategies and appropriate delivery style to meet those objectives. Deliver an interactive, engaging program that is on target with your organizational goals and objectives. Conduct satisfaction and quality assessments at the close of each program to ensure we meet your objectives. We specialize in assessing your place of business and designing programs to meet the specific content, location and scheduling requirements of your organization. 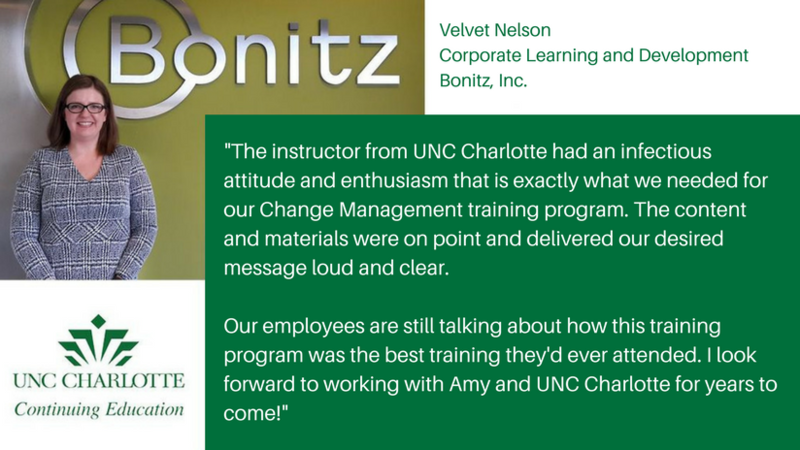 UNC Charlotte's Corporate and Custom Training has partnered with almost 200 companies in the past decade. Here's a partial list of our corporate clients. Contact me to receive a complimentary consultation.